When it comes to their pools, residents near Lexington, KY, put their trust in the team at True Blue Pools. Since 2009, these professionals have garnered a reputation as experts in the industry, able to serve as a one-stop-shop for any and all pool needs. From pool installation and maintenance to pool openings and closings, the company handles everything to ensure your pool is primed and ready for use. 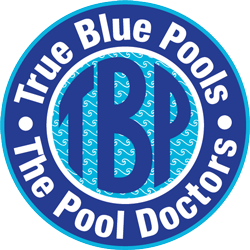 Installing and maintaining a pool is a substantial task, but it’s easy and convenient when you have the aid of such experienced technicians like True Blue Pools. These professionals are available to help you plan and design your project from the very beginning, as well as building it to match the pool of your dreams. Once the installation is complete, they are always around to assist you with pool openings and closings so your seasonal transitions are smooth. The experts understand how involved pool maintenance can get, so they make it simple by providing every type of amenity or product that might come in handy — should you need a liner replacement, a salt system installation, or a new filter, the team has everything you need. For the ever-important pool chemicals, they make sure to work with some of the finest companies in the industry such as Polaris® and Jandy®. The talented staff is at the heart of what makes True Blue Pools so special. With rigorous training and deep industry knowledge, the crew is known for their thorough work. Beyond all the helpful services of the pool company, the friendliness and long-term relationships developed with the staff is a major reason customers flock to True Blue Pools. Whether you need a new pool construction or a repair on your inground pool, you’ll get amazing value by working with True Blue Pools. To discuss your specific needs, call (859) 523-0755. You can learn more about the company by visiting their website, and connect with them on Facebook.